Maritime Asset Partners (MAP) is a Luxemburg-domiciled non-bank, specialised finance platform, established in 2017 in response to opportunities arising from the diminished supply of credit to owners and operators in the global maritime sector. 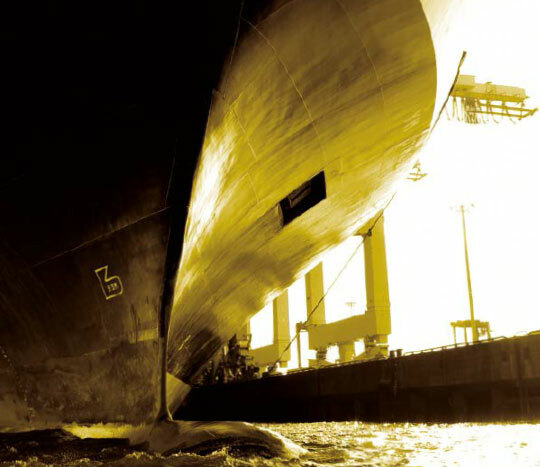 Pursuing a fundamental credit strategy, MAP is focused on secured lending, leasing and structured equity solutions for commodity and industrial shipping as well as the offshore oil and gas industries. The company’s long-term investment view is backed by major financial and industry investors who have laid the foundation for a strong platform. With the diverse stakeholder network and affiliated companies, MAP has access to extensive relationships and origination capabilities in London, New York, Oslo and Singapore. Our target client group is broad and includes leading maritime corporations looking for a tier of complementary capital, as well as mid-cap owners and operators who may not be target clients for the mainstream commercial banks. Senior debt, backed by first preferred registered mortgages over mainstream assets has underpinned the maritime asset finance markets for generations. However, since the financial crisis, commercial bank appetite for the sector has reduced dramatically; driven by a perfect storm of historically severe depreciation in vessel values, credit losses and regulatory tightening. MAP has substantial support from its investors to deploy capital in traditional senior secured financing with LTVs up to 75%, depending on relative asset, liquidity and market risks. Amortisation is typically assessed against the stability and transparency of cashflows from spot markets and/or term charters as well as the remaining economic life of the collateral vessel type. Liquidity, corporate and asset value covenants are project driven, rather than policy decreed, and operational covenants applied to reflect industry best-practice. Loans are, generally, bilateral facilities drafted against standard LMA-based documentation but could also be in loan note or bond format for selected jurisdictions. Leasing covers a multitude of alternative structures and risk profiles. For MAP, it allows us to consider higher LTV transactions or cater to other structural imperatives. Generally, deals are structured as bareboat/finance leases though, for certain asset classes, residual risk transfer may be priced-in. Purchase obligations or put/call options are transaction dependent and MAP has evaluated deals with and without seller’s credit contributions. Larger transactions will typically include senior debt leverage at the project level but, equally, MAP has the capacity to underwrite the whole deal where confidentiality or speed and certainty of execution so demand. Sometimes the scale of the transaction or the need to bifurcate risk profiles make a uni-tranche first lien structure uneconomic. In such circumstances and where a leasing solution is also untenable, for whatever reason, MAP has flexibility to consider a subordinated, secured debt participation. The higher risk profile is reflected in both return expectations and enhanced operational covenants. Inter-creditor considerations are of paramount importance to all parties so a direct and early dialogue between MAP and the senior lenders is an essential pre-requisite to success in these structures. MAP’s capital can be deployed in a host of structures, including structured equity. Whether as senior unsecured HoldCo. debt, preferred equity, convertible preferred or similar, the common thread will always be an alignment of interests between our capital at risk and that of the project/corporate sponsor. Potentially standalone but, more likely, in combination with a secured lending tranche, key requirements will typically include control of the subject tranche and visibility on current-paid dividend yield. Our investment advisory team is based in London and supported by our business services team in Luxemburg. We offer flexible and commercially driven capital with best in class execution; whether in bi-lateral transactions or when leveraging the management team’s extensive network of bank and other debt capital partners. MAP is not constrained by rigid lending policies and as such, we aim to be constructive in response to the unique demands of each project. We have a fundamental credit strategy, focused on loan-to-value, liquidity, counterparty and market risk. MAP is open for business and energetically building its portfolio across a range of risk profiles. In all cases, an evaluation of the project sponsor’s support is widely defined but nevertheless essential to establish an alignment of interests and a mutually beneficial, long term, business relationship. Maritime Asset Partners © 2019 All rights reserved.